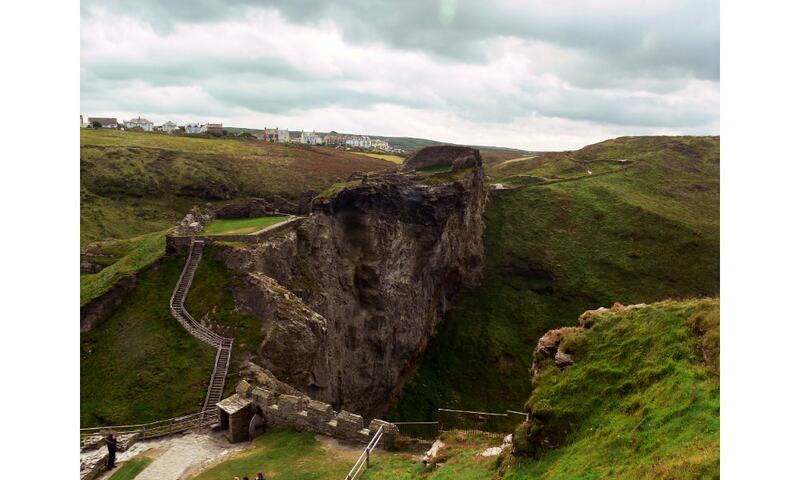 Tintagel Castle is a medieval fortification located on the peninsula of Tintagel Island. The site was possibly occupied in the Romano-British period, as an array of artefacts dating to this period have been found on the peninsula. A castle was built on the site by Richard, 1st Earl of Cornwall in the 13th century, during the Later Medieval period, but it later fell into disrepair and ruin. The castle has a long association with legends related to King Arthur. Tintagel Castle has been a tourist destination since the mid-19th century. Owned by Charles, Prince of Wales as part of the landholdings of the Duchy of Cornwall, the site is currently managed by English Heritage.